Cowboys Night Club Calgary | A Great New Place for You? Search for more about Calgary entertainment. One of the many night clubs here, if you're looking for a good time. Calgary has many places for fine entertainment. But if you're going to Calgary for a short visit or on business, you must might find the Cowboys night club the right place to unwind. And with a slogan that promises you "The most fun you can have with your boots on!" you can't lose either way. If you're a resident Calgarian then you would certainly have heard of Cowboys. Calgary night life doesn't get any better than this, and you'll find yourself in for a whopping good time. With classic events like Cowboys Wednesday Ladies Night, and Cowboys 25 cent BeerFest on Thursdays, not to mention the wild weekends, you can be assured a good time. Whether it's just to do a little two step, or you just wanna line dance your heart out, you would have gotten it all at Cowboys. At this club, you might also find yourself enticed to a little country and western style dinner and dancing Calgary being the "Heart of the new West" an' all. So where is Cowboys night club Calgary? 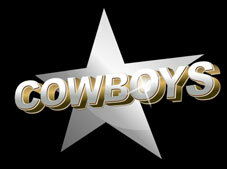 The Cowboys night club can be found at 1088 Olympic Way SE, the red star above. They made it accessible for everyone. New to Calgary? Need a little finding your way around town? To get to what is admittedly one the hottest night spots around, then you could always just hail the nearest cab and be done with it. Of course you always have the option of going it in style, and if you want there's always limousine companies like Blue Sky Limos, which can offer you many different services. Some of which include Calgary bar or pub crawl packages starting at reasonable rates. So whether you want to two step your way through Calgary, or have some boot-scootin' fun you'll have no further to look than the Cowboys night club Calgary night life at its prime best. 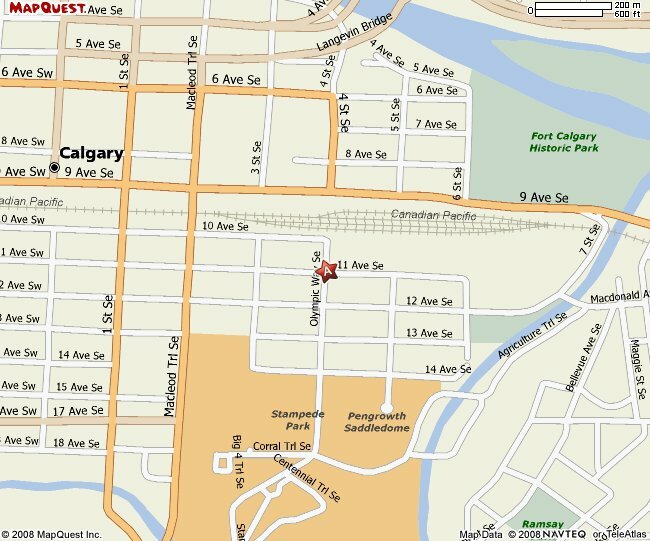 Go back from Cowboys Night Club Calgary to the Internet Site Map web page.